My time in Norway so far has been a rollercoaster ride filled with highs and lows, but it’s one that I’m thoroughly enjoying. 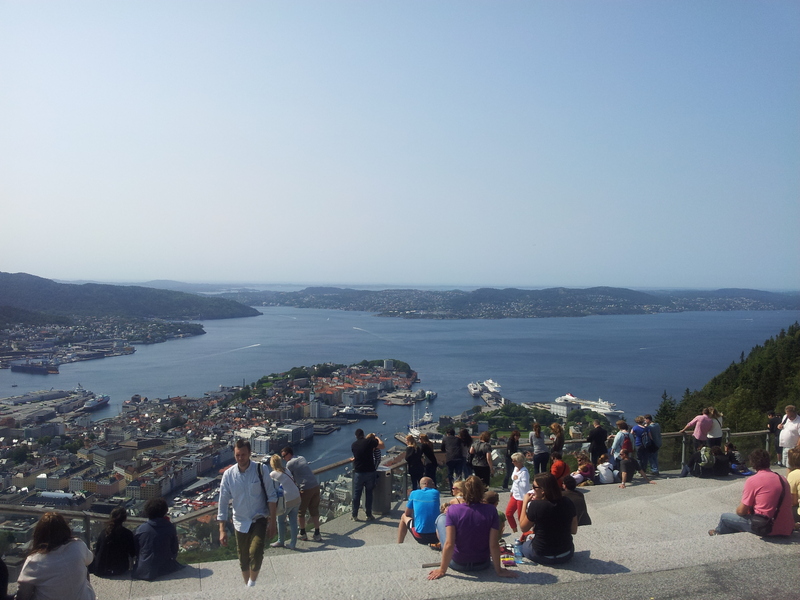 After all, nobody said it was going to be easy moving to a new country but I’m really liking it here in Bergen. One thing I am rather fond of, is the beautiful scenery. 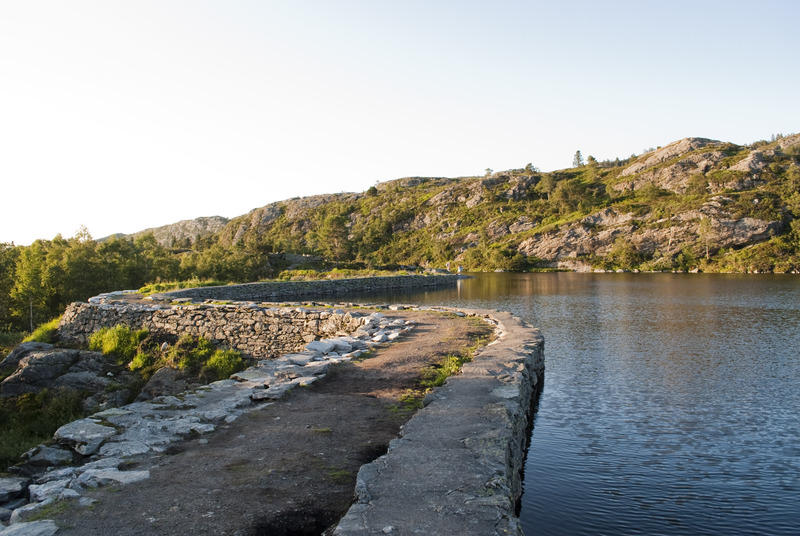 For a big city, Bergen has a lot to offer. The city centre is vibrant, busy and great for shopping and yet within walking distance, you can surround yourself with nature on top of the mountains, with only a few people in sight. The weather in Bergen is usually rainy so I tried to take advantage of the beautiful, warm weather in July by doing some hiking. Climbing up 800 steep steps was an absolute killer! I had to take regular breaks and sit on the rocks whilst people much older and fitter than me, made their way up with no problems whatsoever. B kept trying to reassure me that we were getting closer to the top. Stolzen has many halfway points; all of which are way before the actual halfway point sign… Once I saw the actual sign and realised B had been fooling me, I was ready to give up and wait for an air ambulance to retrieve me! Reaching the top was definitely worth the struggle! The view was incredible! 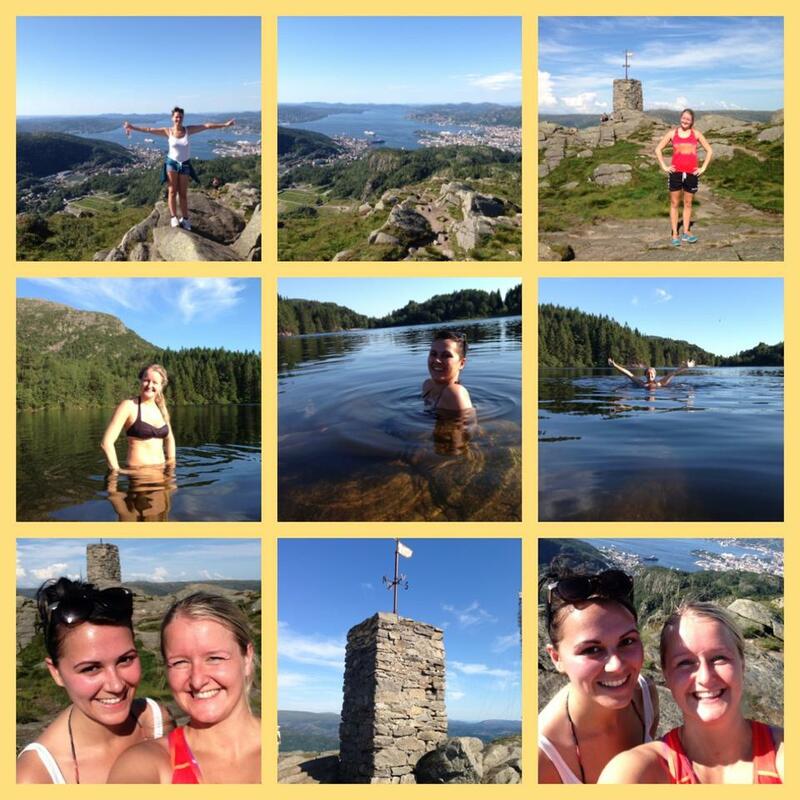 After a well deserved rest, we began to make our way to Fløyen and came across many beautiful lakes. Climbing the mountain was thirsty work and although we ran out of water, we were able to refill our bottle with the fresh water from the lake. After hours of walking, we arrived at a very busy Fløyen. Another mountain accomplished is Løvstakken; another of the seven mountains that surround Bergen. Before starting the hike, I warned Linda about my struggle with Stolzen and my regular need for breaks… However, this one was less steep and was therefore a much more enjoyable walk. On the hike back down from Løvstakken, we took a different route and headed towards Storavatnet; the lake near Loddefjord, and went for a swim. Seems like we weren’t the only ones taking full advantage of the great weather as the place was heaving with people! 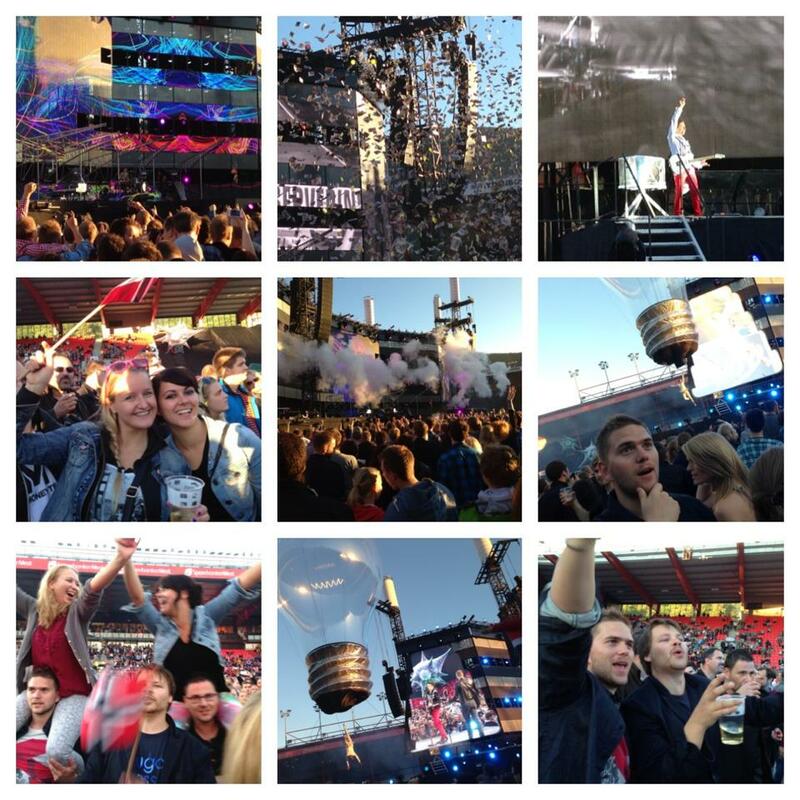 I went to the concert with some Norwegian people that I had recently met; Linda, Irene, Marius, Are and Trond. I can honestly say that I had a great time and the people I was with made it a fab experience that I will never forget! After finding a Norwegian flag at the concert that I waved around frantically whilst Muse played, I was asked by a few people if I thought it was the 17th May. I explained that I was English and that I was just being patriotic to my new home! Ikea is definitely worth a mention in my blog post. Afterall, it is one of my favourite places to be! Unfortunately, it is not close to the city centre and definitely not within walking distance… but they provide a free bus service on Saturdays! Wahey! On our first visit, I was absolutely shocked by the vast size of the building! Then I was shocked by the size of the standard meatball portions! Basically, everything about the flat was “smauet”! The shared kitchen was tiny along with the bedroom and shared bathroom. However, we were lucky enough to have the place to ourselves for the whole four weeks due to it being vacation season. We were lucky enough to find a great one bedroom apartment that we moved into two weeks ago. It’s close to the mountain, Fløyen (which means the walk to is great for the legs) and when you look out of the window, you can see the sea! OMG…this felt like I was reading a novel! Your life in Bergen is an adventure. You go, girl!